I’ve experienced some of the most amazing cities that the world has to offer. From great beaches, climate, friendly people, personal interests, world-famous attractions, architecture, history, and culture, there are many different factors that make a city great, let alone top ten! 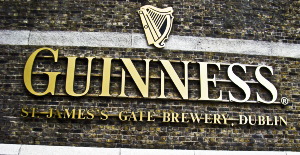 Dublin, Ireland, home of The Guinness Storehouse, is number six on my favorite cities visited. With world-renowned nightlife, literature, history, and so much more, I never wanted to leave Dublin, Ireland. During my stay, I was able to drink like an Irishman at Marlborough Hostel, discover the story of iconic drinks at The Guinness Storehouse, trace Dublin’s literary tradition at the Dublin Writers Museum, and follow the disturbing history of Kilmainham Gaol. As an English teacher with Cape Breton roots, there are few better things in life than great literature and history all washed down by the perfect pint of beer. What more could I ask for? Leaders of the Easter Rising are what led to what is now the Republic of Ireland. 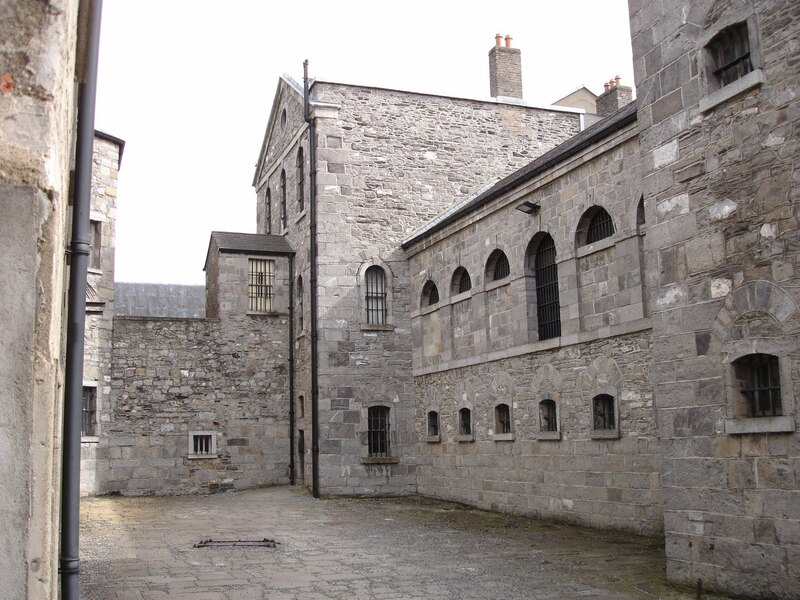 Each of the fourteen lead rebels of the rebellion were publicly executed at Kilmainham Gaol, which leaves the jail at the center of Irish history and brutality. This deep rooted history of violence and struggle for freedom aroused my curiosity and thirst for more knowledge. A tour of the gaol gave me an even deeper insight into the harsh conditions in which men, women, and children were subjected to while imprisoned there. It is a sombre, even chilling, place to visit, but absolutely fascinating. The courtyard at the end is a powerful reminder of how fortunate we are to be free. It is in the Stonebreakers’ Yard that fourteen leaders of the Easter Rising were publicly shot and killed. Among them, James Connolly, who had been wounded and could not stand, had to be tied to a chair to support him during his execution. He was held at Dublin Castle and transferred to the Royal Hospital Kilmainham where he was kept alive long enough to join the others in a public execution. The Rising and their deaths marked a turning point in Irish history. 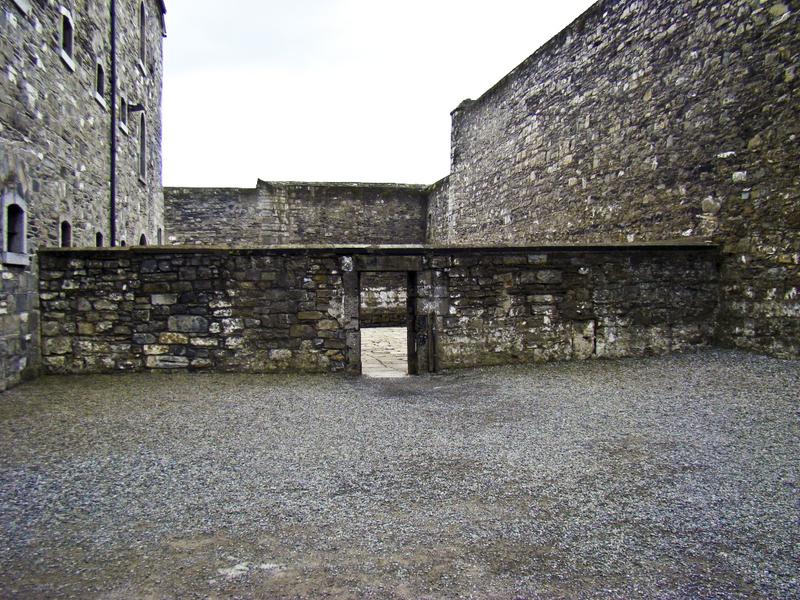 When I stood in the execution area, I couldn’t help but feel distraught about the Irish struggles in their fight for independence, but the blood of these martyrs made Kilmainham Gaol hallowed ground to the Republic of Ireland. There is a heavy emphasis during the tour on putting the jail into historic context and I left with a much deeper understanding of the often complex forces which shaped the Irish nation. Dublin is an unforgettable city with an even more unforgettable past. During my next venture, I was able to connect the two in a magical place where people become more beautiful, witty, and electrifying – The Guinness Storehouse. 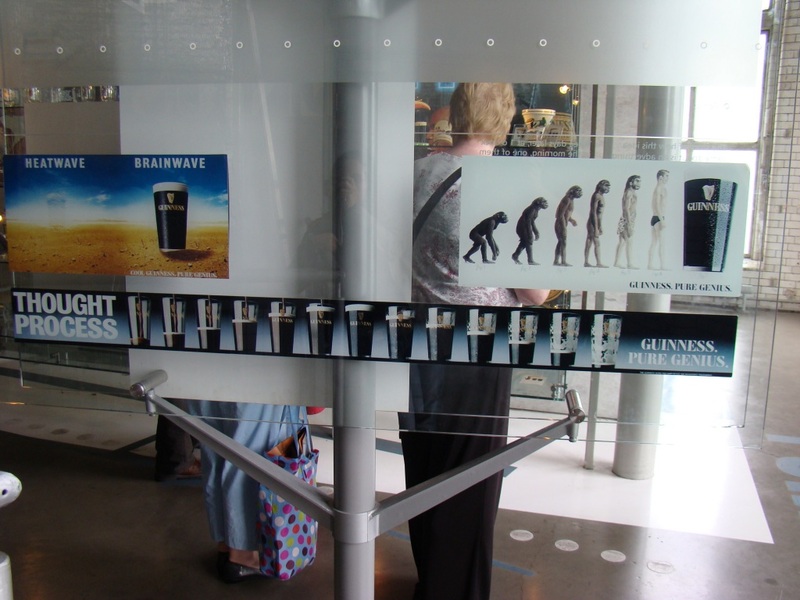 The longer you are in The Guinness Storehouse, the better it gets as long as you continue drinking the dark stuff. 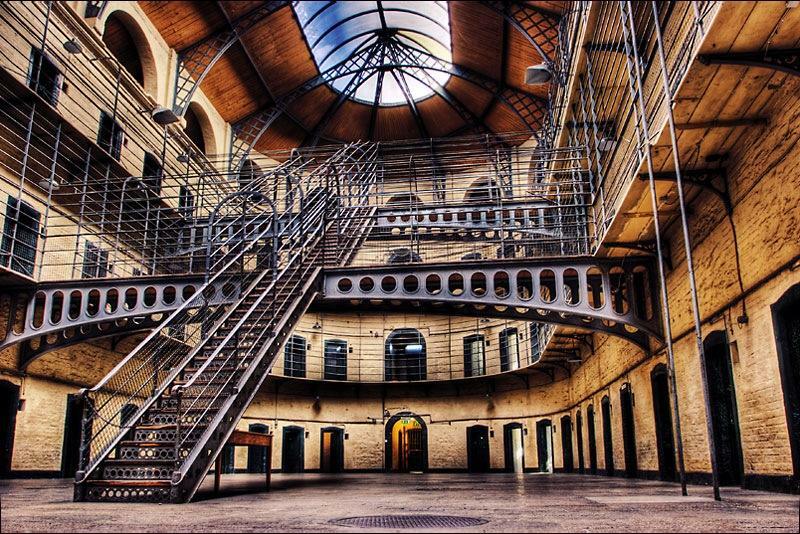 Guinness plays as much of a role in Irish history as Kilmainham Gaol. The seven floors form the shape of a massive Guinness glass, which would hold 14.3 million pints of Guinness if filled. By the time I made it to the Gravity Bar, at the top of the glass-shaped building, I had several “tastes” of Guinness and I was about to try my first pint directly from the brewery. I couldn’t figure out why they would put the drinking area on the top floor of a seven floor building since I’m pretty sure I was not the only person to consume my weight in beer before trying to stumble out of the storehouse. By the time I made my way down the stairs and out the door, I was ready to enjoy the nightlife in Dublin. Marlborough Hostel was our home while in Dublin, and never was an accommodation more accommodating. What really put this hostel above all others was the staff. It was like we were staying with family. 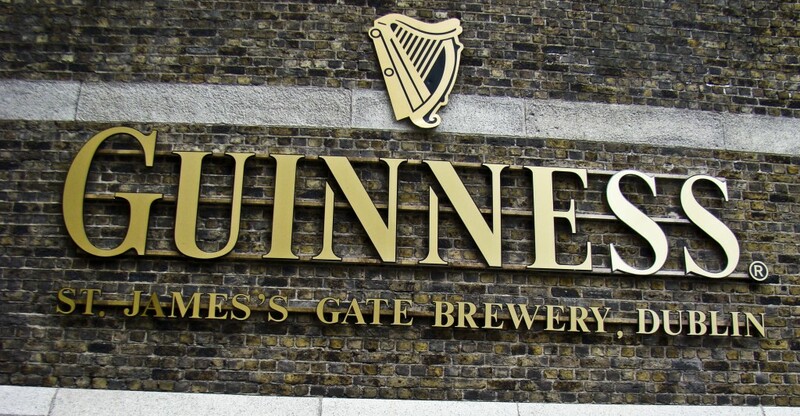 After touring The Guinness Storehouse, sitting on the terrace, drinking, and chatting with other travelers and hostel workers became one of the most exciting evenings of my entire European experience. We were able to share part of Ireland with people from around the world. Their stories and adventures became part of ours and we didn’t even have to leave the hostel. We laughed, shared our travel experiences, and listened to music with 14 other travelers, as well as two Marlborough Hostel workers, from around the globe. It was the equivalent of hitting the pubs, but we didn’t have to walk, pay excessive drink prices, or worry about getting home. After a night, or several, of Dublin’s finest, Guinness, I longed for a relaxing afternoon of Dublin’s finest, writers, at the Dublin Writers Museum. 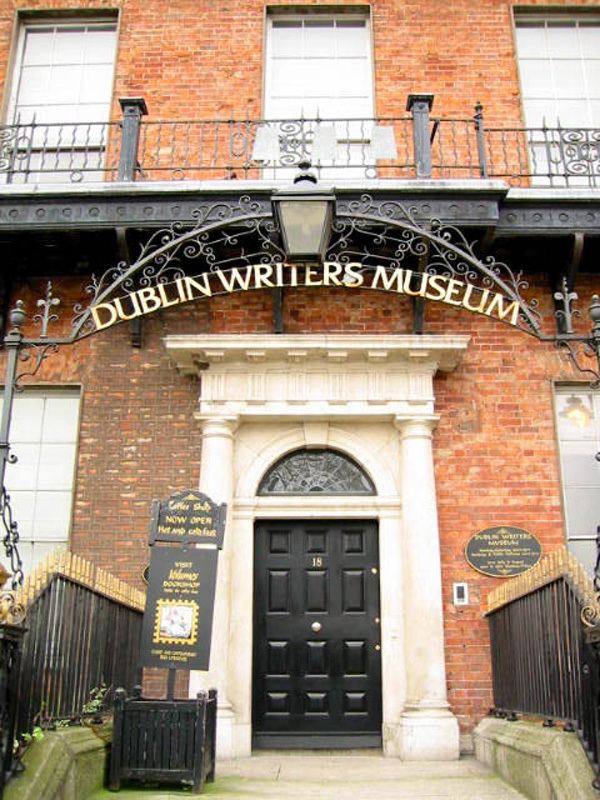 Dublin is famous as a city of writers and literature, and the Dublin Writers Museum is an essential visit for anyone who wants to discover, explore, or simply enjoy Dublin’s immense literary heritage. The museum brought Ireland’s literary celebrities to life through their books, letters, portraits, and personal items. After a four-year Advanced Major in English and a two-year Bachelor of Education degree in English, Oscar Wilde, Samuel Beckett, WB Yeats, and Jonathan Swift were my best friends. Their stories had become part of my life; I could tell them as easily as I could talk about my family or close friends. Regardless of my familiarity with their writing, I still found new things to astound and delight me at the Dublin Writers Museum. The two Museum Rooms presented a history of Irish literature from its beginnings up to recent times. The panels described the various phases, movements, and notable names, while the showcases and pictures illustrated the lives and works of individual writers. As I strolled through the literary history of Dublin, I was reminded of my university years and the hard work and dedication it took to bring me to Ireland in the first place. For the first time in my life, I felt a real connection between the writers and myself. It was at that point that a career as a writer began to fester inside of me; my burning desire to write could no longer be suppressed. I too wanted to be immortalized through my writing. I am not Irish, but it was in Dublin that history and culture began to make me question my life and my direction. At Kilmainham Gaol I was reminded of how lucky I am to be free and of the struggles that others endured to make it that way. At The Guinness Storehouse and Marlborough Hostel I enjoyed the freedoms that I’ve been given and lived in the moment. Finally, at the Dublin Writers Museum, I peered into my future and I envisioned a great life for myself, a life where I don’t have to experience the world in a safe, “normal” way. You could easily spend years ticking of Dublin bucket list items and still have so much more to discover. Most people that visit claim it as one of their favorite cities in the world. I’m going there next Month, can’t wait to finally visit that beautiful city! You never cease to amaze me. There are two places in my mind that know how to make great beer – Ireland and Belgium.While I am sure there are many more, my palate is refined and I love Guinness, it is my favorite Dark beer, with Belgian beer right there. It is a toss up of which is better. They are different, so you really can’t compare them too well. What a treat to go to Dublin, and have a ‘real’ Guinness! 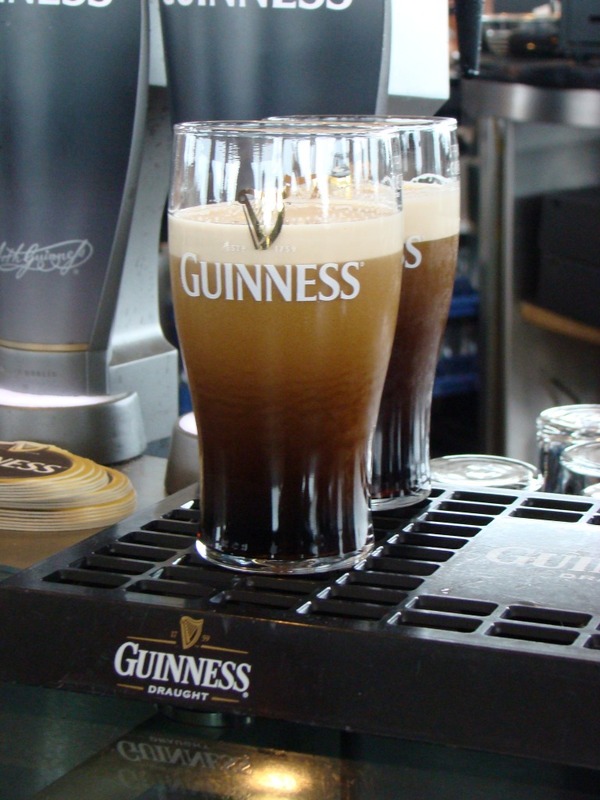 Guinness, for me is almost like drinking chocolate and coffee; oh wait, I have done that! Here in Portland you can have that at the Stumptown coffee house. The Belgians, though are in a league all their own. If you have never tried one, I suggest you do, but be prepared for a quick buzz if you are used to drinking them. They have a pretty high alcohol content. Those monks at the Abbey’s sure know how to make beer. I never knew that Dublin had a literary museum. What a great time. Great Trip! Canadian beer has a higher alcohol content as well. American beer, in general, is rather weak. At 40 1/2 weeks pregnant, it’s been a long, long time since I had any alcohol. Maybe the American beer will be a good starting point – when I can. Thanks for liking a poem on my site. The Irish are great poetry lovers, and beer lovers as well. And as others have said here, Guinness rules! The two together, Irish poetry and a Guinness (or two) make a great combo. In fact, that is how many of my poems come together! Interesting site you have here. Lovely pic of the Guinness draught!